BETHLEHEM, PA—Robin Williams, one of the greatest comedic actors of our time, will be remembered during a special film series kicking off this weekend at ArtsQuest’s Frank Banko Alehouse Cinemas at SteelStacks. The Robin Williams Film Series will feature five classic movies starring the late actor and comedian, with a portion of the proceeds from each film going to support the Greater Lehigh Valley Chapter of the American Foundation for Suicide Prevention (AFSP). Films to be shown during the Robin Williams Film Series include the Academy Award-winning “Dead Poets Society” Aug. 16, 12:30 p.m.; “Good Will Hunting,” for which Williams earned an Oscar for “Best Actor in a Supporting Role,” on Aug. 17, 7 p.m.; “Hook” on Aug. 23 at 12:30 p.m.; “Good Morning Vietnam” Aug. 24 at 7 p.m.; and “Jumanji” Aug. 30 at 12:30 p.m. Tickets for each screening are $10 (regular), $8 (seniors ages 60 and older) and $7.50 for ArtsQuest Members. 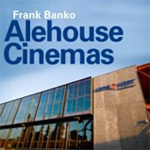 The Frank Banko Alehouse Cinemas are a two-screen independent, foreign and art house cinema located in the ArtsQuest Center at SteelStacks, 101 Founders Way, Bethlehem. For tickets and more information, visit www.artsquest.org/film/.